Do you want to make sure that our GOP elected officials, like Rep Mark Meadows get re-elected in November?? What about electing GOP candidates to our local government and to Raleigh? But what makes this even worse in Buncombe, instead of 10 early voting sites, one board members wants 11 which means tens of thousands of your tax $$$ to fund the extra site. " ... To staff each early voting site in Buncombe County, it costs nearly $20,000 to pay workers, plus more for overtime pay, which is likely given the longer hours, Velez said. The cost to operate each additional early voting site comes to roughly $40,000. ..."
Our only recourse is to lobby by calling and emailing the State Board of Elections and tell them NO TO SUNDAY VOTING AND TO MAINTAIN THE 10 ORIGINAL EARLY VOTING SITES. What does Sunday voting mean? Right now, WE need to lobby the State Board of Elections to DENY EARLY VOTING ON SUNDAY AND TO MAINTAIN THE 10 ORIGINAL EARLY VOTING SITES IN BUNCOMBE COUNTY. 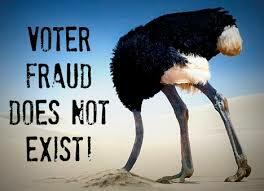 Adding an 11th voting site is fiscally irresponsible and an unwanted burden to tax payers. The cost to operate each additional early voting site is estimated to cost $40,000. Sunday voting is not only an added burden to BOE workers and an added expense to our county, but an affront to our Sabbath, traditions, and family time. Eighteen days of early voting is more than enough time to find time to vote. Sunday voting is an unwanted government intrusion upon my time that is better spent with my family and at peace at church. Instead of 10 early voting sites, one board member wants 11 which means more of your tax $$$. Buncombe Elections Board at Odds Over Downtown Early Voting Sites. Call the State Board of Elections and tell them to maintain the 10 original sites.